Tools of the trade. 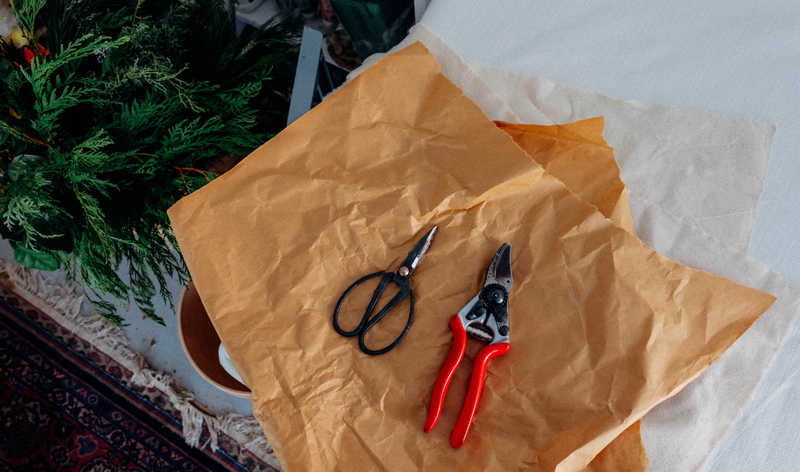 These are the pruning utensils Siavash uses to tame the wild plants so they can fit properly in the vessel she’s working with. The moment before. 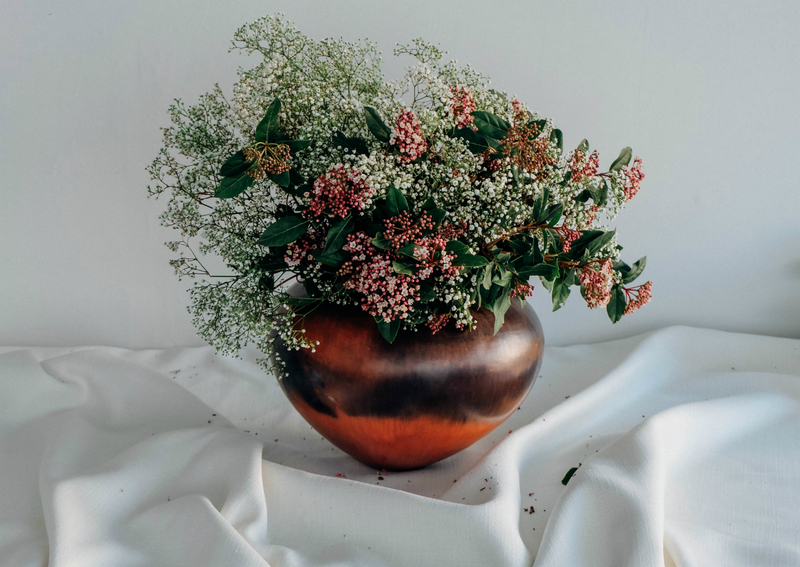 On the left is gypsophila, more commonly known as baby’s breath, the first bunch of flowers to be added to the arrangement. On the right is the vessel: a colorful vase by Vancouver ceramicist Laura Wee Lay Laq. Picking and choosing. 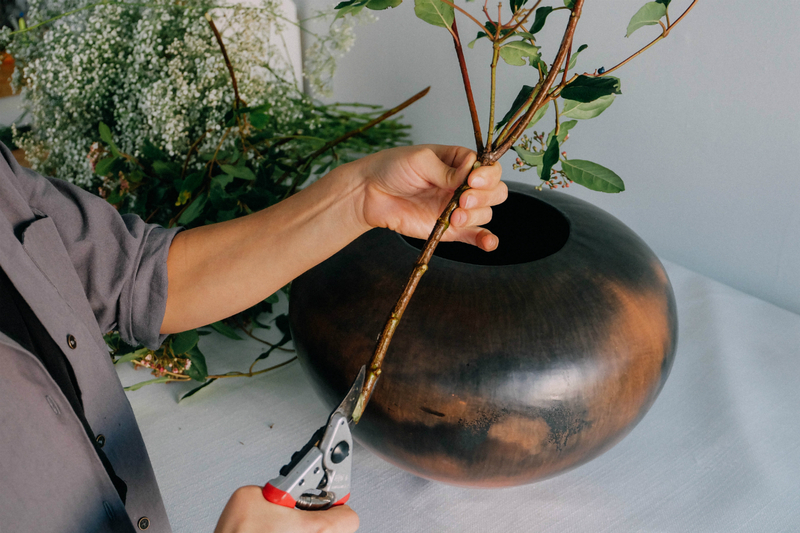 Siavash sorts through different viburnum steams, searching for the most visually appealing ones to add to the arrangement. Up close and personal. 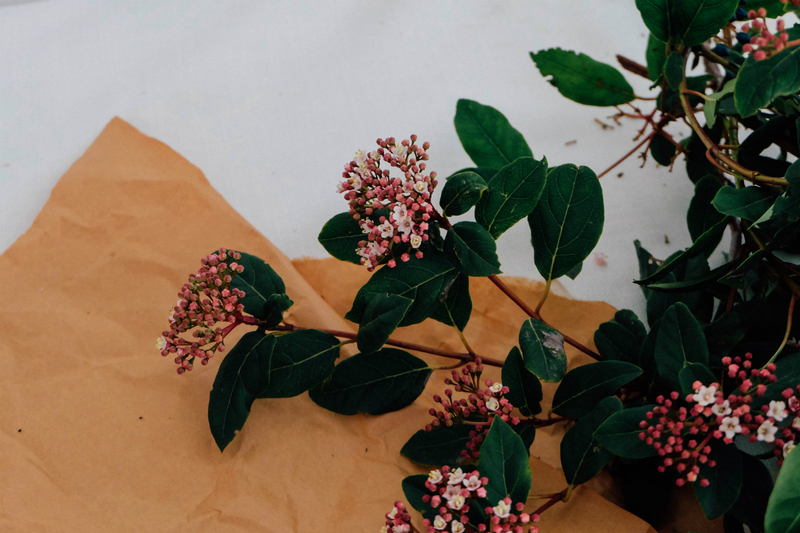 A viburnum flower lays in wait on the work table. 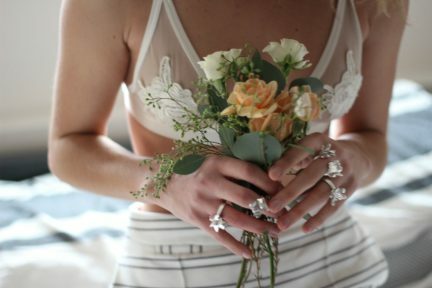 It’s all in the details. 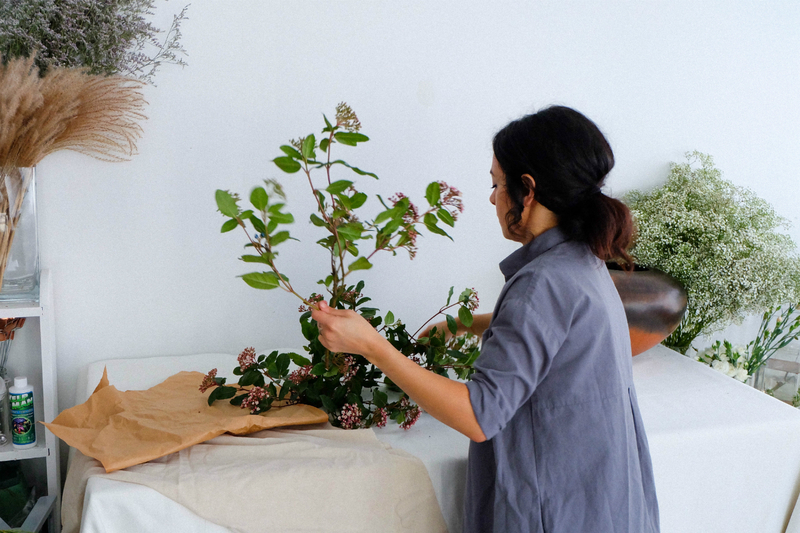 Siavash shortens a viburnum stem to provide different levels to her bundle. Comparing notes. 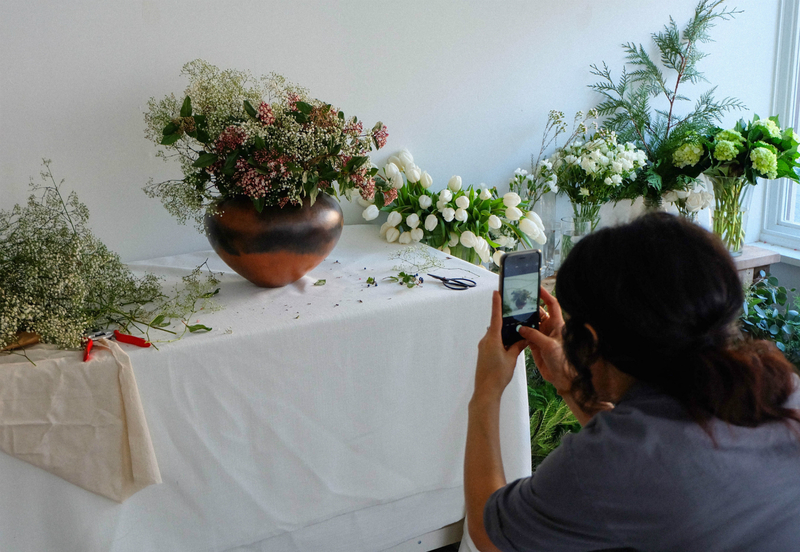 Siavash juxtaposes the ingredients in her arrangement before placing them in the vase. Among friends. 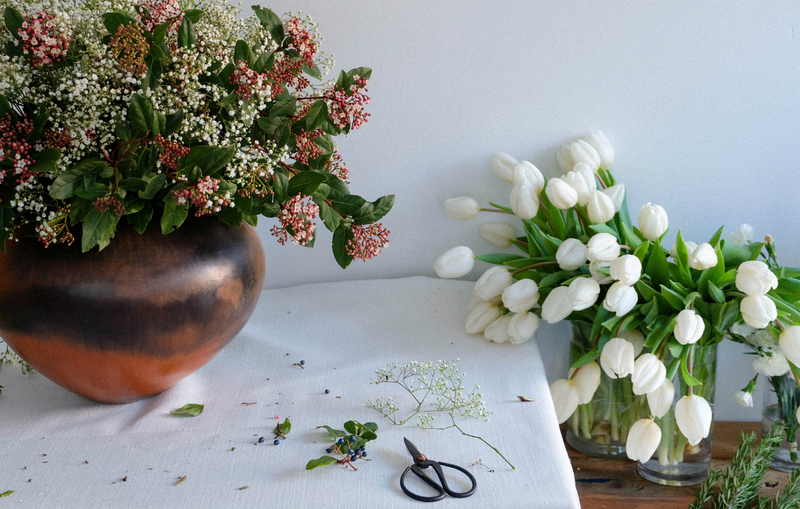 Today’s arrangement sits among the vast Wild Bunch flower collection in Siavash’s Strathcona studio. 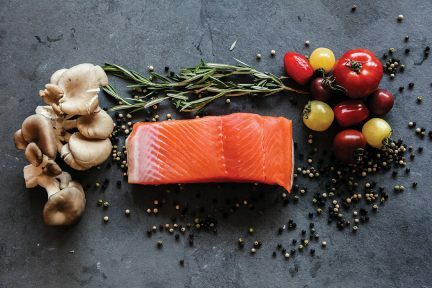 On top of retail sales at her shop within the Gastown café The Birds & The Beets, Siavash also provides bunches for local restaurants including Ask For Luigi, L’abattoir, and Pourhouse on a weekly basis. The whole picture. 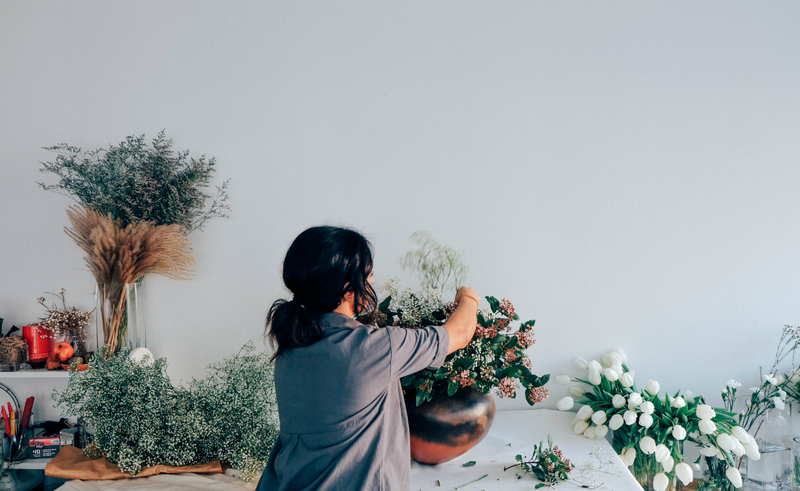 A big part of Siavash’s floral practice involves photography—in the midst of building an arrangement, she is constantly documenting the process. By looking at pictures throughout, she can see where the work lacks and what spaces need to be filled. Different perspectives. Siavash turns the vase around to see how her work looks at different angles. The wild bunch. The untamed result does its best at sitting pretty. 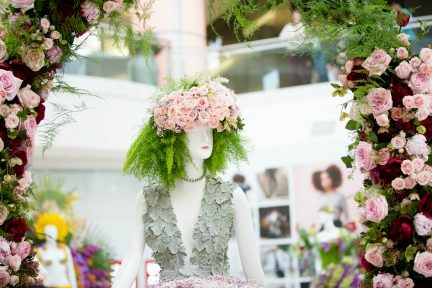 Flower arranging came naturally to Vancouver-based digital media professional Nastaran Soofi Siavash. 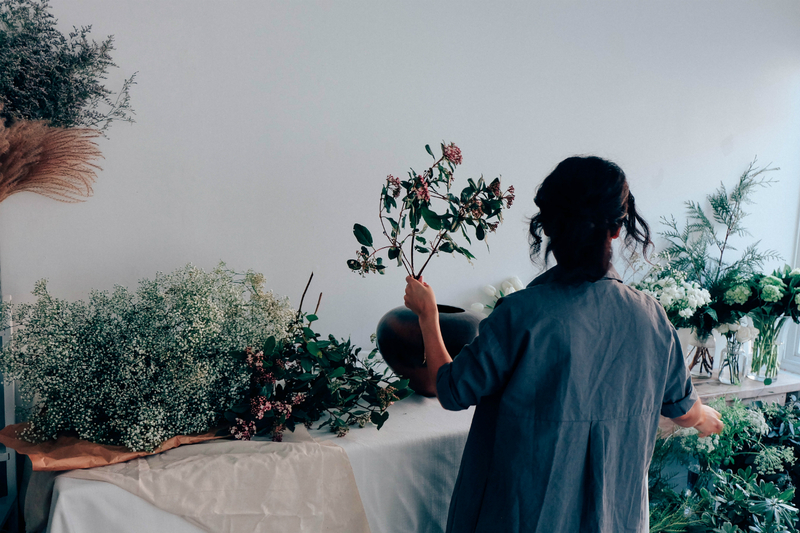 For as long as she can remember she’s been putting together arrangements for her own home, finding passion and solace in this decorative practice. In 2012 she fully realized her desire, migrating away from her full-time position in an art gallery and towards this new creative pursuit. 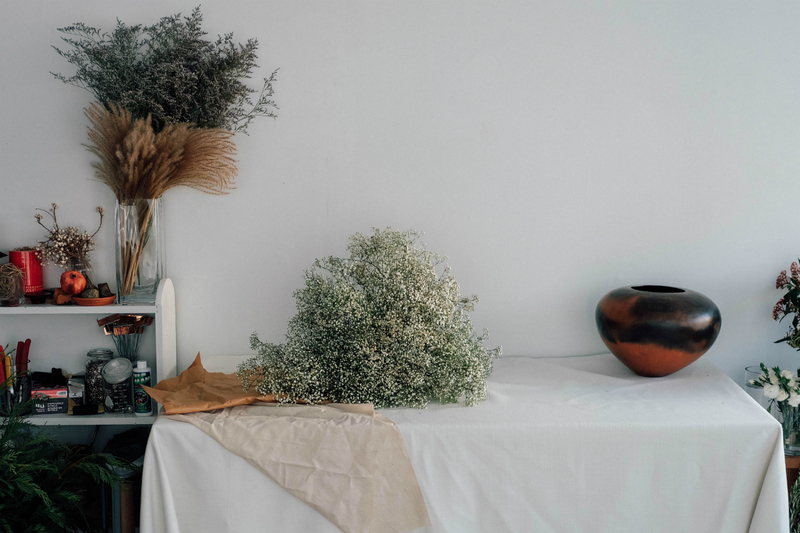 “The first three years were just me exploring flowers, foliage, vessels, and different kinds of design,” Siavash explains. 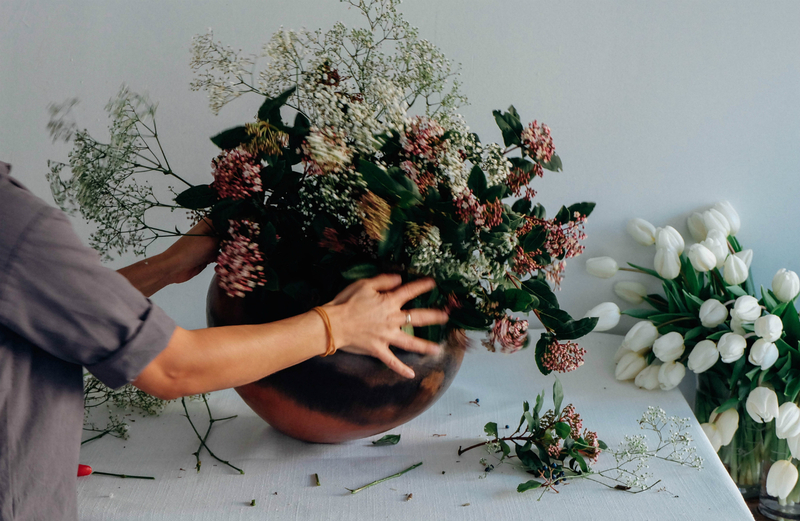 “Trying to balance the floral arts and the floral arranging business; making it a creative enterprise by having clients, weeklies, and events.” Her company, The Wild Bunch, sources its native and medicinal plants from local vendors including Hives for Humanity, filling in seasonal gaps with what’s available wholesale from growers in the Pacific Northwest. 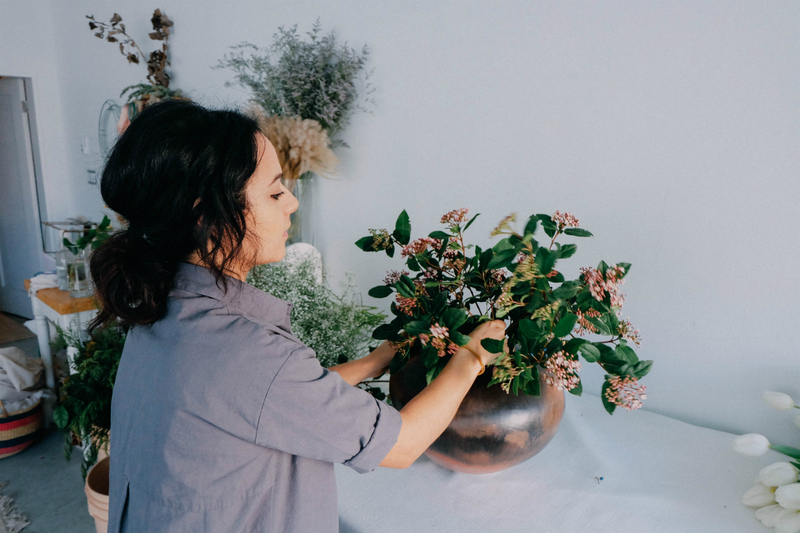 The Wild Bunch puts an emphasis on fun—Siavash doesn’t want flowers to be something you only bring out when someone dies, and instead fights against stuffy and precious arrangements that look awkward alongside the landscape of a messy kitchen. She’s the champion of a well curated mess. 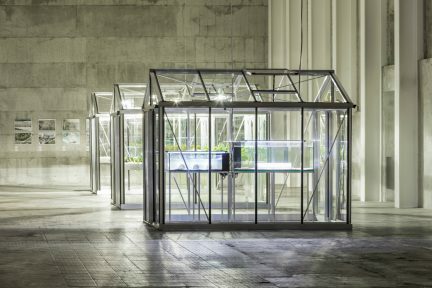 Keep that spring in your step with more stories on growing and greens.